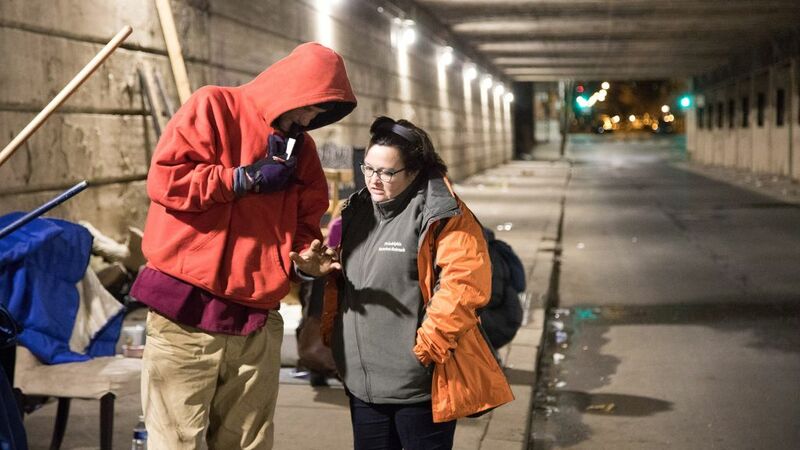 Outreach workers in Philly’s shelter system are up against the clock. 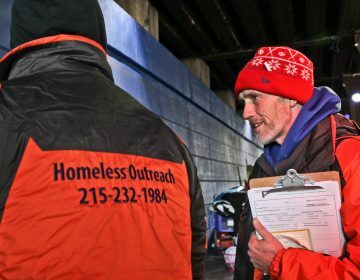 Over the second half of March, the city’s Office of Homeless Services shuts down its winter initiative, drastically lowering the number of beds available to Philadelphians in need. Relative to the city’s overall homeless population, which has lingered recently around 1,000 people, the loss of about 320 beds is substantial. Unfortunate as it sounds, this happens every year. That’s because at the start of the cold season, Philadelphia adds several hundred extra spots to ensure people have a place to take respite. Even so, winter shelters are stretched beyond their capacity. “Sometimes during Code Blue, we may be able to only offer them a chair,” said OHS director Liz Hersh. When winter starts to wind down, providers kick it into high gear, attempting to engage shelter residents in long-term housing programs before their seasonal stay ends. 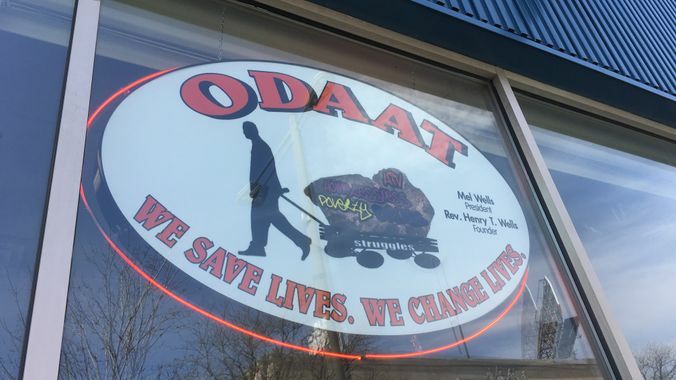 “Our goal is always, from an outreach perspective, we don’t want anyone to return to the street,” said Bridgette Tobler, a manager at the Department of Behavioral Health and Intellectual disAbility Services. It’s no easy task. Untreated mental illnesses and substance use disorders can prevent people from choosing to access city services. And even if everyone agreed to accept a long-term housing solution, Hersh said, the city wouldn’t have enough to go around. The winter initiative has been in place as long as Hersh can remember. It’s only meant to be a temporary solution to homelessness, an access point to more long-term services. 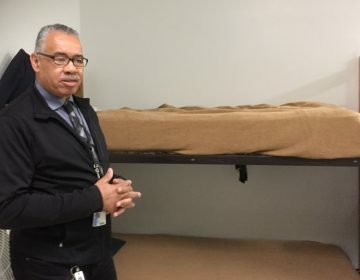 Making it happen requires a network of volunteers — some existing shelters offer more beds than usual, and churches join in for the season, stocking beds in their spare rooms. The seasonal beds offer 124 places for men, 100 for women and another 195 for all genders. It ups Philly’s general shelter supply from 2,600 up to 2,919. It costs the city roughly $1.5 million to run the seasonal sleeping arrangement, Hersh said, but officials feel its money well spent. Perhaps the hardest part of closing down 300 shelter beds is consoling the people who you’ve got to kick out. Although they try to be upfront with residents, sometimes people don’t grasp the temporary nature of the shelter beds — and they’re caught off guard when outreach workers have to phase them out. Alongside behavioral health workers, OHS staff members try to comfort them. It’s a task that gets even harder when the residents ask for continued services and they’ve got to turn them away. Among shelter residents who were referred to any of those permanent housing programs, Hersh said 93 percent didn’t return to the shelter system in two years. Problem is: only 24 percent of shelter residents are offered this in the first place, because there isn’t enough to go around. More often than not, the OHS staff ends up suggesting the winter initiative alum move on to another homeless shelter. It’s a bandaid solution — one that people usually refuse. So what will the next few weeks look like? OHS staff will visit provider shelters consistently, working to get people involved in the few services they’ve got to offer. Mel Wells, president of the One Day At A Time shelter network, adds 50 to 60 temporary beds during the winter. If he can’t get them into a legit apartment at the end of the season, he’ll at least offer membership to a free grocery program, or HIV/AIDs testing. All things considered, this winter went well for OHS. The department never had to turn away someone seeking shelter on a cold night — a sign that the 319 beds they budgeted this year met the need. Latinos make up nearly 15% of Philly's population and form its poorest minority group — 38 percent live in poverty, according to census data. Residents are worried what will happen to them if the shelter closes. The state doesn't seem to trust the shelter after a fiscal mismanagement investigation. 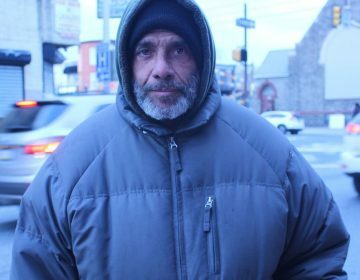 Despite being America's poorest big city, Philly has a surprisingly low rate of street homelessness compared to other large cities. What's behind this counterintuitive trend?